Nollywood actor turned politician, Hon. 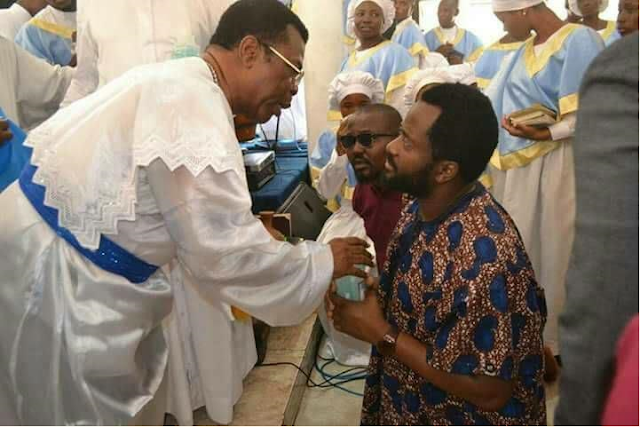 Desmond Elliot, who is representing Surulere 1 Constituency at the Lagos State House of Assembly was recently pictured at the Celestial Church of Christ Ayilara Parish, Surulere area of Lagos where he was being prayed for by Sup. Evang. Prophet Samuel O. Oshodi. 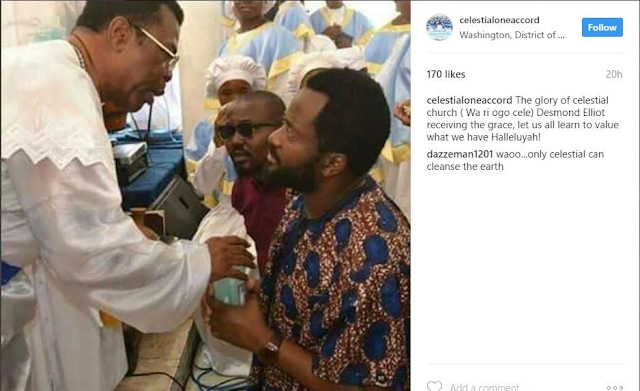 In a post on the church’s instagram page, Oshodi, who is said to be the Superintendent of the white garment church was seen presenting the actor-turn politician a gift. The Superintendent of the congregation, Evangelist Prophet Samuel O. Oshodi was seen presenting the actor with some special gift. This is coming at a time when a pastor, Celestine Micheal called for prayers for Elliot, saying his life is in grave danger.